Our uptime monitoring system will notify you by email and internal notification whenever one of your sites is down. Adding a URL only takes a few seconds... the system will check the status of your site from several places, so if it tells you it's down, you can be sure this is not a false alert! There are companies out there that charge up to $100 per month and sometimes more for this feature alone... With SERPed.net, you get it included in your membership, at no extra cost. Site downtime can negatively affect your rankings, income and upset your visitors or hurt your brand. 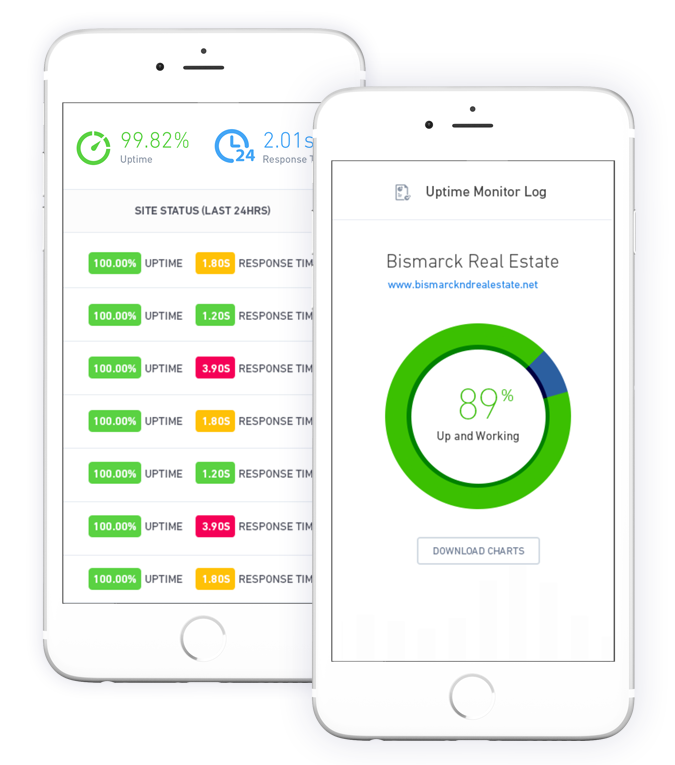 'Uptime Monitor' will help you reduce any downtime and increase your profitability. You just can't afford to let your site go down too often... Every time it goes down, you should contact your Web hosting provider. A lot of them guarantee a 99% uptime. We had a member email us to thank us for this system, saying they got a full month of hosting credited back to them simply by sending in the 'site down' reports we provide you. Show them they are wrong and they will maybe upgrade your hardware or offer you a discount or credit you a month free, as they did for the customer that contacted us.If you are managing a client site, imagine the value they will receive when you present them with their uptime report, so they can see you are even monitoring for them how their hosting is going. Depending on the results you could suggest a hosting move.